Pokemon - it's one of the most successful games franchises on the planet. This weekend marks the release of the latest game on the Nintendo 3DS - Pokemon X and Y. We've bagged a rare chat with one of the main Pokemon developers Junichi Masuda all the way from Japan. 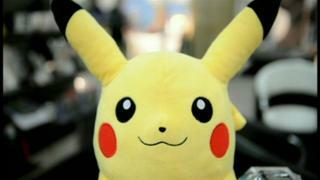 He has worked on every Pokemon game since the very first and even came up with the game's iconic soundtrack.